﻿ Doraintrade, the first and only BRC Agent & Broker Certificated company in Turkey! 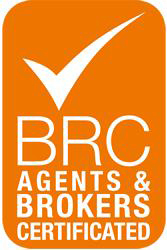 Home / Company News / Doraintrade, the first and only BRC Agent & Broker Certificated company in Turkey! 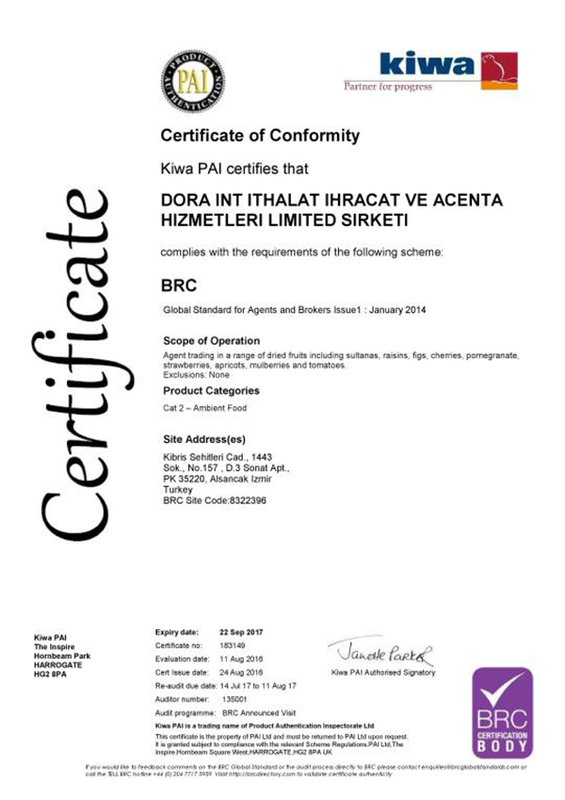 Doraintrade, the first and only BRC Agent & Broker Certificated company in Turkey! agent, broker and consultant targeting to set up a strong link between suppliers and importers on trust basis. From the first day, Doraintrade has been extending its business, always on the route of supplying the best quality, suitable products for highest global regulations of health and safety. “We are selecting our suppliers within leading facilities from reliable companies. From the beginning of the sales contact, we involve and inspect the whole production till the end to the shipment. Thus, we secure your requirements. At the top of our duties, it is always the legal, healthy, safe products,” says Banu Er of Doraintrade. “On this aim, we have established an extended traceability, frequent controls and involvement to the productions as well as raw material markets from the beginning. We continuously upgrade our food safety systems and perform necessary human resources investments in order to reach the highest Food Safety level. Our target from the beginning was to be the best in quality of our service as well as the range of products we offer. 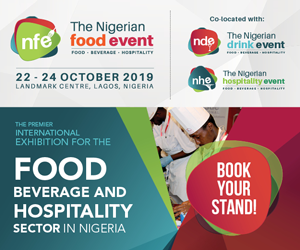 Since its establishment, Doraintrade has been attending the most important food exhibitions all over the world in order to meet the business partners and inspire food business. 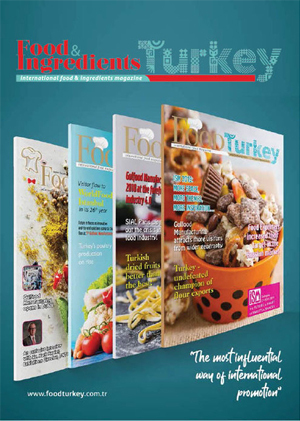 First time this year, Doraintrade will be exhibiting in Sial 2016 Paris between 16-20 October 2016 with its own stand at Turkish Pavilion.